We can tell you that the services and programs Story Monsters LLC offers are unparalleled and you're not going to find another place like us, but we don't want you to just take our word for it! Click on the links below to find out what folks are saying. “I Recommend This Magazine ~ Strongly ~ 5 Star Review. “I am happy you are being progressive with Story Monster Ink. By your bold decision to move forward in the new year with a digital format, you are protecting the magazine’s future. It will be around for teachers, parents, and students to enjoy its informative information on today's popular authors, along with the books that are coming out each month. There are too many of our good magazines for children and teens going out of business because they may not have made this move even though it is scary. “I Recommend This Magazine ~ Strongly ~ 5 Star Review! — Review by Amazon Customer, 5 out of 5 stars, "Great magazine for kids and parents"
“The adolescent years of today’s youth are not anything like my own children’s experiences, and certainly not anything like mine! Much of what we learned about the world came from books like ‘The Hardy Boys’ or ‘Anne of Green Gables.’ Not anymore. Today, our children (and grandchildren) move around in constant communication with the world, their friends, and with a bit of luck, us! The magazines of my childhood have held little interest—until now. 'Story Monsters Ink,' is geared to the interests and abilities of children of all ages—including the pre-teen through teen demographic. Best of all, it’s online and it’s FREE! Even more amazing, it appeals to parents and teachers, too! There is something for everyone. Every issue spotlights an author, athlete, celebrity, or other subjects close to the heart. It inspires youngsters to read, to learn, and to even write their own stories, which could be published in the magazine. “I had the privilege to work with Linda Radke and the entire Story Monsters team on my recently published book, The Taco Stand. I have to start by saying this was the first book I ever published, and I went into the process with absolutely ZERO knowledge of what it takes to publish a book. All I knew was that I had a cute little story and some pictures that I thought people might like. Linda made me feel so comfortable from our first meeting and patiently answered all my questions. She carefully explained how the process would work, what would be required from me, and what assistance they would provide. It was a lot of information to digest, but she was never pushy and gave me time to take it all in. After thinking on it for a few days, I decided to move forward with Story Monsters. That’s when the real MAGIC began. I worked with Linda closely throughout the process, but Patti became my main point of contact. They walked me through it, step by step. Even though there was a lot of work involved in getting my book ‘print-ready,’ it never seemed overwhelming as we just handled what was in front of us at the moment. Both Linda and Patti seemed genuinely excited about my book and that motivated me to get through the process and make sure the book was perfect before going to print. I can’t overemphasize their patience in working with a first-time author in myself. When they needed the illustrations delivered to them, they were expecting a Drop Box or flash drive. Instead, I hand-delivered a stack of watercolor paintings in an envelope! They just smiled and said, ‘No problem, we will take care of it.’ This is just one of countless examples in which they went above and beyond the call of duty to help in any way they could. When all was said and done, my shipment of books arrived. I excitedly opened the first box like a kid on Christmas morning. When I held my book in my hands, I had a wave of emotion come over me. I was so proud of this book that had been a dream of mine for years and I was so grateful for the Story Monsters team that helped that dream become a reality. Now I can’t wait to write my next book and wouldn’t dream of going through the process with anyone other than Linda, Patti, and my Story Monsters family! “I have had the pleasure of working with Linda Radke, founder of Five Star Publications, now Story Monsters, LLC, for several years. At first I simply inquired about her services, and Linda was generous with her time. Later, after my first book debuted, I entered some of the contests her company sponsors, which are operated by an independent arm. When my book What Lies Within won first place in two categories in the 2014 Royal Dragonfly Awards, I called Linda for a marketing consultation. I found her sage advice extremely helpful and her consulting fees quite reasonable. Now that my second book, The Spirit of Villarosa, placed first in two categories in the 2016 Royal Dragonfly Awards, my coauthor and I signed up for Linda’s creative co-op marketing packages. Her organization of these events and her followup show her knowledge, skills, and nearly 30 years of publishing and marketing experience. “To me, happiness is winning a Dragonfly Book Award! I’ve been fortunate to be a winner twice. ‘Confessions of a Movie Addict’ earned First Place in the autobiography/memoir category back in 2012. And 'Cinema Stanzas: Rhyming About Movies' took Second Place in the 2016 Poetry category. Being a winner each time gave my books a big PR push that included newspaper articles, extra social media coverage, and radio interviews. I was especially surprised at the renewed interest in ‘Confessions of a Movie Addict.’ It was published way back in 2001! 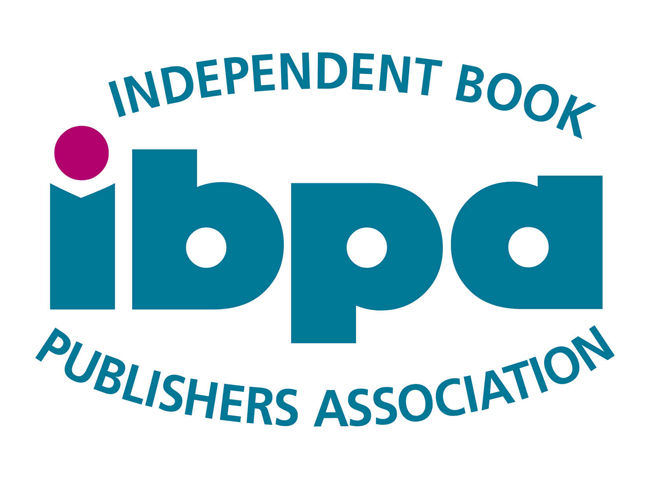 Where else could a book published over ten-years ago win an award? I was almost as surprised when ‘Cinema Stanzas,’ an eBook published last year was a second place Poetry winner in 2016. It’s my first attempt at combining poetry and film reviews. This shows how open the Dragonfly Book Awards are towards new approaches. Thankfully, the Poetry award has helped me achieve serious consideration as a poet. “I wanted to share with you my delight personally, and professionally to have my children's books: ‘The Magic Straw Hat’ and ‘Destination Adventure’ awarded The Purple Dragonfly Award Winners in 2016. “In 2014, I won first place in the Purple Dragonfly Awards Contest for my children's chapter book, ‘The Ghost of Stonebridge Lane.’ Being my first children's chapter book, I was extremely proud to receive this award. It gave me the extra boost of confidence I needed to continue my writing. I also was given Honorable Mention in 2014 in the Royal Dragonfly Awards Contest for my children's picture book, ‘Nakita's Big Question.’ I was pleased with this award as this was my first children's picture book in which I had worked with a professional illustrator. I continued my children's chapter book series with ‘The Ghost of the Frozen North,’ which I entered in the 2015 Purple Dragonfly Awards Contest. I was awarded second place for this book. “Connecting with ‘Story Monsters Ink’ magazine through the Story Monsters Approved! and the Purple Dragonfly Awards has been such a tremendous boost to my book’s visibility. With each contest, service or advertising opportunity offered comes with a multiple promotional windows—not only to be seen by those in the industry, but by other authors and illustrators, providing a wonderful digital network of friends, supporters and perpetual momentum for all my titles! 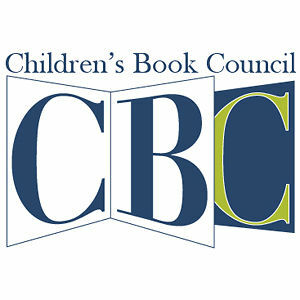 “One of the happiest moments of my entire career as a teen author was winning the grand prize as well as first place in the Youth Author category in the Purple Dragonfly Book Awards for my YA novel, ‘The Crystal Chronicles!’ I was absolutely ecstatic to win such a prestigious award that has given my book so much publicity! As a Canadian author, I feel like I’ve already gained so much exposure in the huge American book market after winning the award. Having this award under my belt has really catapulted my career into something great! I am now ready to tackle query letters for agents, hunt for a bigger book publisher, and so much more! The testimonial from this years judge, Joe Murkette, was single handily the best review I’d ever received in my life as a teen author! Receiving such a wonderful testimonial was a huge honour and it left me shaking and in happy tears! I definitely will be adding my winnings and my judge testimonial to my author bio! “As a piano instructor, I have made a conscience effort to remember what it was like to be a child. I’m the student at my weekly lesson, remembering how I felt when I struggled and when I achieved a goal. Today, I apply that to my teaching method. I do not view my student’s accomplishments through my eyes as an adult, but through theirs. I do want them to be challenged, and I find that I make much more progress by being firm yet understanding of their capabilities. An adult’s point of view is so very different than that of a child, and this is why I feel so fortunate to have found Story Monsters Approved! as an outlet for my books. Who better suited to review a children’s book than the children who will be reading them? Throughout the years, adults may have forgotten how much fun it was to be a child, to feel free to imagine or to be silly. But children have not crossed over that adult border and are uninhibited to experiencing those feelings. To allow children the opportunity and the entitlement to approve a book should speak volumes to parents, educators and authors. “Just a note to let you know that our author visit with Marion Margolis was wonderful! I was able to communicate with her before her visit and set up a schedule for visits to our Kindergarten and first grade classes. She was also able to help us purchase“ her books for the students, which she graciously autographed for each student. The children loved her presentation and the book that she read for them, New Digs For Beau. She was so well-received that we will be booking her for next year as well, when we get our new calendar finalized. “...There is a need for your service!!!" “It was like clockwork. I signed up with authorsandexperts.com and as with the other success stories that I've read here — sure enough, the first 24 hours were exciting indeed! I landed two radio interviews in markets where I'd not yet been on air. And, the best news of all is that I now have my very own column — something I've wanted long before I imagined that I'd write a book. As it turns out, my 'create pockets of joy and inject them into every single day' message was just what the publisher of a new regional magazine wanted for their 'Attitude' section. Even if nothing else comes of this relationship (but I hope it will! ), it's already proven to be a great investment for me! — Hank Christen, Dir. of Emergency Response Operations, Unconventional Concepts Inc.
“I just signed up a few days ago, and have already had a radio host for an afternoon talk show contact me to book an on-the-air interview (I did NOTHING except to reply to his email and agree to be interviewed)! AuthorsAndExperts.com is INCREDIBLE! I am convinced your service will help me take my business to the next level! It is exactly what I have been searching for - what a tremendous VALUE!" “As the editor of two big websites for writers, I regularly turn to AuthorsandExperts.com when I'm looking for authors to interview. I've been impressed by the variety and professionalism of authors who list with this service, and I will continue to refer to it to find interview candidates and books for review. It's a win-win situation: I get a convenient way to find new authors, and they get a ton of publicity for their books!"